Clarity and Transparency is our motto and we provide customer service to core quality relying on trust and integrity with our team and clients equally. QeAgency has been in the SEO industry for five years now and we have mastered all the skills that are required to understand the nuances of pure digital marketing. We have taken it to our base activity to understand and analyze how the major search engines of the world work and accordingly design and customize our own strategies. We first identify the current status, check benchmark and analyze before implementing. We follow a pragmatic approach of 'fit-to-order' which is essential for achieving desired results. Based on the evaluation and analysis select a campaign from the pre-designed SEO Plans. We also custom-design SEO campaigns to meet all your SEO needs. SEO campaign is implemented and integrated with the website including, but are not limited to, on-page & Off-page optimization. After implementation of the campaign plan we track the progress to ensure that the results are in-line with the campaign plans. 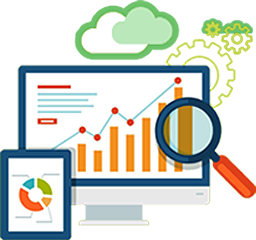 QeAgency has been in the SEO industry for five years now and we have mastered all the skills that are required to understand the nuances of pure digital marketing.